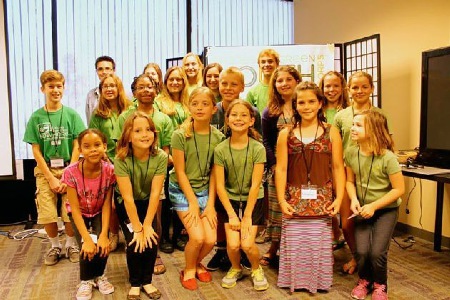 Grades of Green Nonprofit Helps Make Conserving Electricity Second Nature for Today’s Youth. "Grades of Green was founded in 2009 by four Grand View Elementary School moms who wanted to make environmental protection second nature for today’s youth". "At the Lou Dantzler Prep Elementary School in Los Angeles, third-grader Kirsten created an Earth Club of 30 members who meet weekly to talk about everything environmental. 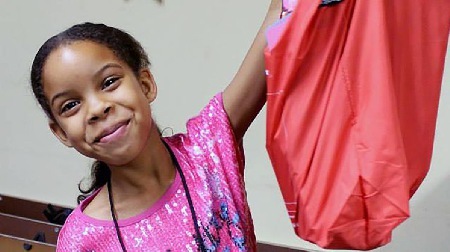 The club has collected 2,000 pounds of clothing and shoes which were donated to a shelter. They have also collected 5,000 pounds of e-waste. Kirsten also taught the club a “Green Cleaning” lesson where members created non-toxic cleaning supplies they were able to take home, helping to spread the word about cleaning power without dangerous fumes." "The nonprofit recently received a $5,000 grant from Edison International to continue its environmental protection programs." "Added: October 14, 2014 | By Nora Mendoza" “We got to make our school green and save our school some green,” said Reece, a third-grader at Hermosa Valley Elementary School." "Schools throughout the country are going green — but not by planting lush lawns. Pre-kindergarten through high school students are going green by helping conserve electricity and they are using free online ideas and activities from the nonprofit Grades of Green." "Jamila has spent over 15 years working with “at risk youth” and their families in the areas of education and social work. Her project is a 20-week youth environmental training program, specifically establishing a Youth Earth Club with two inner-city elementary schools in the Los Angeles area. The club encourages students to promote green initiatives, and to build awareness, responsibility and accountability for our planet. Pollination Project funds will be used for gardening equipment and supplies." "About a year and a half ago I did something that some would say was outrageous. I made a pledge to give away $1K a day to an individual social change-maker, every day, for the rest of my life. This wasn't an easy thing to pledge -- it represented a meaningful amount of money to me and my family -- an amount that stretched me to the edge of my fear. But I knew that life was demanding I do it." "Jamila Banks founded the Youth Earth Club in Los Angeles, CA. ""To date, she’s offered 20 weeks of dynamic, creative and hands-on environmental training to 60 “at risk” elementary school students- and has done it all for free! She will launch her next 20 week program in the spring, 2014." 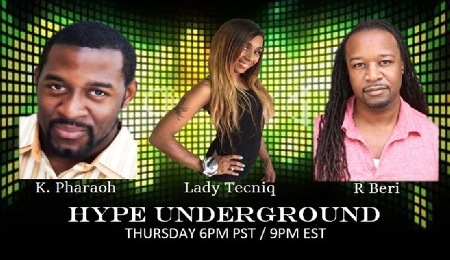 "From the streets of Long Beach emerges a strong, powerful, soulful, independent R&B artist and entrepreneur. Standing at six foot six, La-Ty Banks, A.K.A. 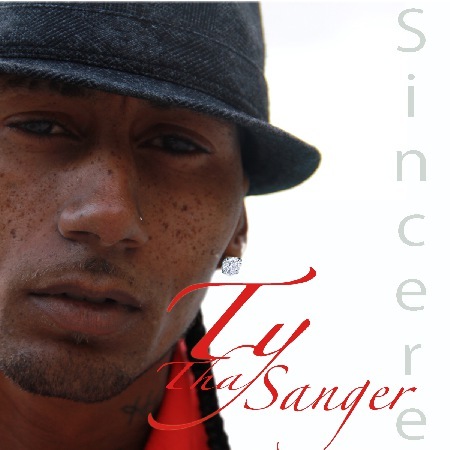 ‘TY Tha Sanger,’ A.K.A ‘Hurricane’ releases a mixture of R&B as well as rap, in a way never done by any other artist. With ten underground albums released since 2004, his most recent works, ‘Dedicated’, ‘Devoted’ and his mixed tape ‘The Best of Me’ have created a buzz throughout the Los Angeles and Long Beach area." "Grades of Green Youth Board Advisor, Kaitlyn Maleman, helped Grades of Green school, Budlong Elementary in Los Angeles, at their first annual Community Recycling Day held by nonprofit Foster and Banks Walk in Faith Foundation. Kaitlyn manned a Grades of Green table where kids could play interactive games to learn about what can and cannot be recycled, as well as what natural resources common household items are made of. 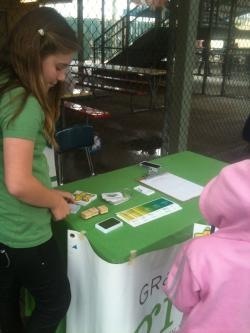 Kaitlyn also used Grades of Green’s Trashy Trivia cards to quiz students about ways to protect the Earth." 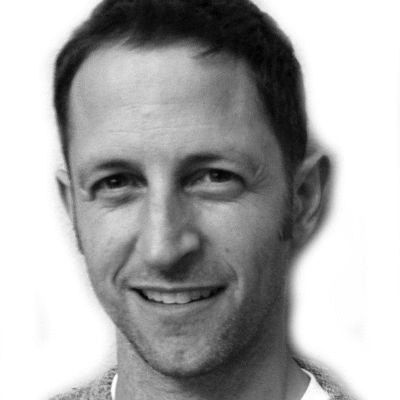 "Budlong Elementary School is located in Los Angeles, CA. " "Budlong Elementary School was introduced to Grades of Green through their partner school, Lou Dantzler Elementary. 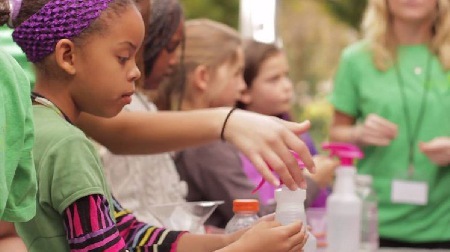 The Foster & Banks Walk in Faith Foundation which is founded by environmentally minded parents registered Budlong Elementary School on the Grades of Green website in fall 2012 and quickly began launching a variety of programs to educate and inspire students to care for the environment. The school hosted their 1st Annual Community Recycling Day on December 1st, 2012 and filled a 28ft truck with all sorts of recyclables including e-waste. The funds collected are being used to support the Earth Club, which is a select group of 4th and 5thgrade students who plan to implement campus wide recycling, Trash Free Tuesdays, and a community garden. Funds raised from the campus wide recycling program will support after school programs such as tutoring, mentoring and music workshops. Budlong Elementary also has a book club for younger students who want to learn about the environment through reading. 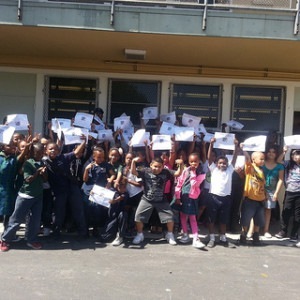 Grades of Green is proud to have Budlong Elementary as a Grades of Green school!"